이 책은 조선 중기의 문신(文臣) 김정국(金正國)이 성리대전(性理大典)을 요약하여 4권으로 편집한 후, 그 당시 나주 관청에 보관해 있던 금성목활자(錦城木活字)를 기본으로 하고 부족한 것은 새로 보충하여 성리대전서절요(性理大全書節要) 400부를 간행한 것이다. 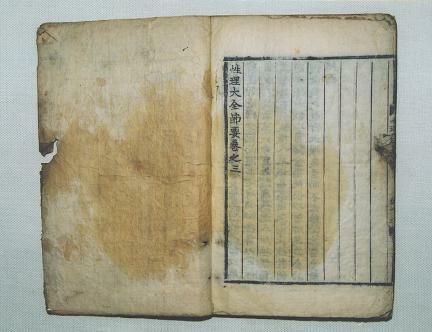 권말에 있는 김정국의 후서에 보면, 그 인출경위(印出經緯)는 절요자(節要者) 김정국(金正國)이 중종(中宗) 33년(1538) 여름 호남관찰사(湖南觀察使)의 명(命)을 받고 부임(赴任)한 이후, 도사(都事) 김회백(金晦伯)과 의논하여 금성(錦城)인 나주목(羅州牧)에 있던 목활자(木活字)에 부족자(不足字)와 결자(缺字)를 새겨 보완하여 그해 가을에 간행하였던 사실을 밝히고 있다. 이 책은 모두 4권 4책으로 편성되어 있는데, 권1의 권두(卷頭)에는 서문이, 그리고 권4의 후미에는 김정국의 후서가 수록되어 있다. 권1의 서문이 끝나고 장을 바꾸어 권두서명이 나타나고 이어서 바로 ‘태극도총론(太極圖總論)’편으로부터 본문이 시작된다. 권두제면(卷頭題面)의 반엽을 기준으로 판식의 특징을 살펴보면, 변란(邊欄)은 사주단변(四周單邊)이나 간혹 쌍변의 경우도 보인다. 반엽(半葉)은 모두 10항으로 구분되어 있으며, 한 항은 19자씩 배자되어 있는 상태이다. 중앙의 판심부(板心部)는 상하로 대흑구(大黑口)가 보이고 있는데, 그 사이로 상하내향(上下內向) 흑어미(黑魚尾)가 새겨져 있으며, 흑어미 안으로 판심제(板心題) ‘성리대전(性理大全)’과 권장차(卷張次)가 새겨져 있다. 각 책의 권두에는 신선로(神仙爐)와 종형(鐘形)의 장서인(藏書印)이 날인되어 있는 것으로 보아 본래 유명인사가 소유했던 장서로 보인다. 권4의 말미에 후서(後序)가 수록되어 있는데, 후서 끝에 ‘가정무술추 문소김정국근지(嘉靖戊戌秋 聞韶金正國謹識)’란 기록이 보이고 있어, 이 책이 바로 중종 33년(1538)에 간행된 것을 알 수 있다. 전책(全冊)의 표지의 상태가 비교적 양호하며, 본문의 경우도 충식(蟲蝕)이 전혀 나타나지 않은 상태인 점으로 보아 전체적으로 보존상태가 좋은 편이다. 전체분량은 권1은 64장(張), 권2는 56장, 권3은 62장, 권4는 67장이다. 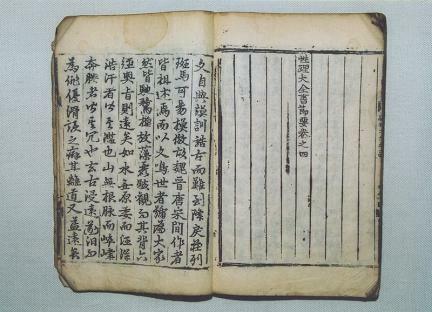 Seongni daejeon seo jeoryo (Essentials of the Great Collection of Neo-Confucianism) was compiled by Kim Jeong-guk (1485-1541) in 1538 (33rd year of the reign of King Jungjong of the Joseon Dynasty). 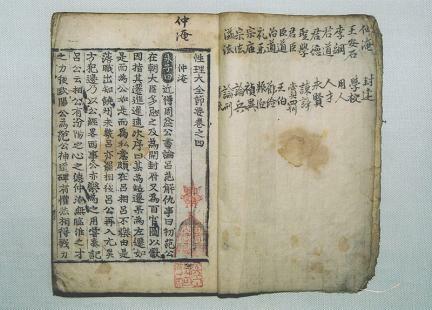 He summarized the necessary parts from Seongni daejeon (Great Collection of Neo-Confucianism) and edited them into four volumes. 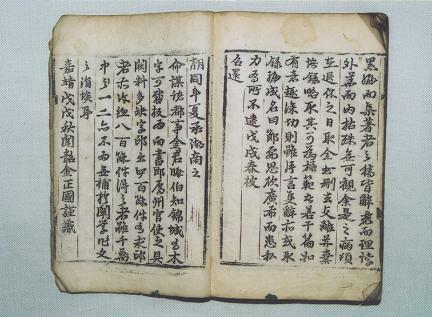 Known as Xingli daquan in Chinese, Seongni daejeon was published by 42 scholars including Hu Guang of the Ming Dynasty, containing the diverse theories of neo-Confucianism of the Song and Yuan Dynasties. 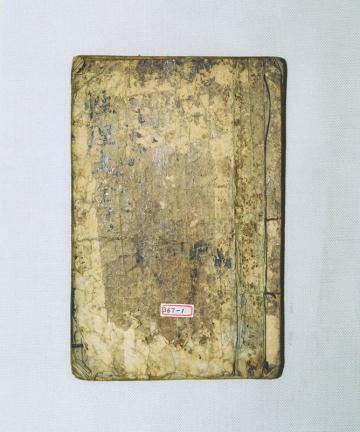 This book was introduced to Joseon during the early days of King Sejong’s reign. 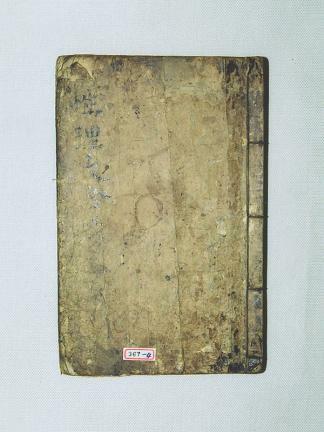 When Kim Jeong-guk was appointed as governor of Jeolla-do Province in 1538 (32nd year King Jungjong’s reign), he discussed with inspector Kim Hoe-baek regarding the publication of Seongni daejeon seo jeoryo. 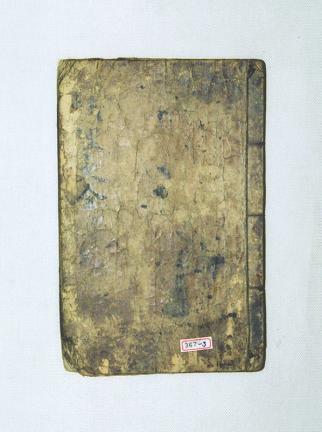 For the publication, wooden types from Naju were used, with the needed or missing characters newly carved to complete the types. 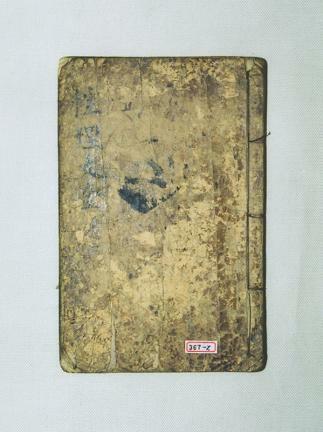 This book consists of four volumes; the preface is on the opening page of Volume 1, and the epilogue, at the end of Volume 4. 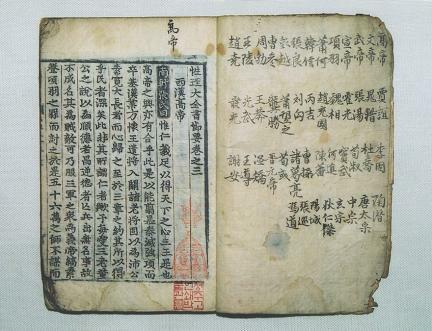 In Volume 1, a page of seals and notes appears next to the epilogue, followed by text that begins with Taegeukdo chongnon (Introduction to the Diagram of Great Ultimate). 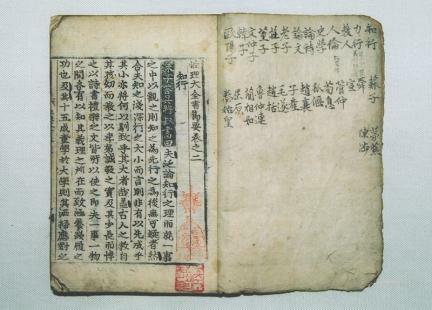 The first page of each volume is bordered with black lines, single in some volumes but double in others. A page contains 10 columns of 19 characters. 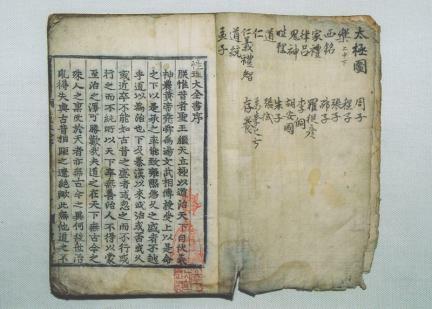 In old Korean books, a leaf is made of a long sheet of paper folded in half, so two pages are printed on the same side, not on the opposite sides, of the paper. 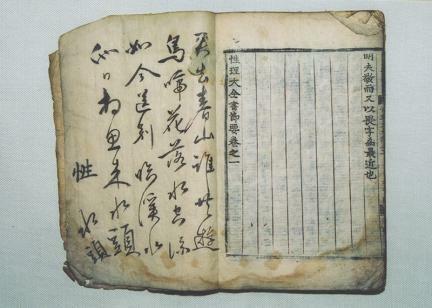 In these books is a thick black vertical line along the upper and lower parts of the folded edge; the middle part is printed with the title of the book and the page numbers, over and below which black brackets (heugeomi in Korean, literally meaning “black fish tails”) decorate the title words. The seals shaped like a brass chafing dish and a bell stamped on the beginning page of each book suggest that the books must have been owned by a celebrity of that time. 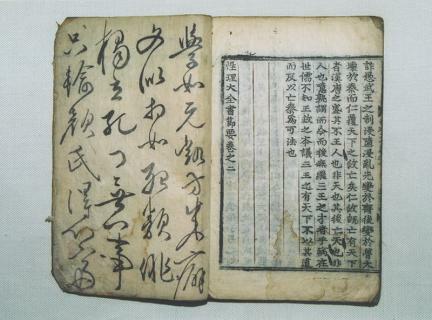 The epilogue at the end of Volume 4 ends with a note stating that the set of books was published in 1538. The books are in good condition with the original covers in place, and the inner pages have not been severely damaged by moths. 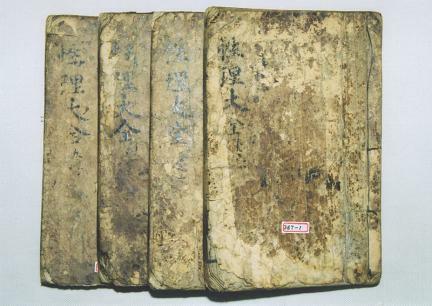 Volume 1 is made up of 64 leaves (i.e., 128 pages), Volume 2, 56 leaves, Volume 3, 62 leaves, and Volume 4, 67 leaves.